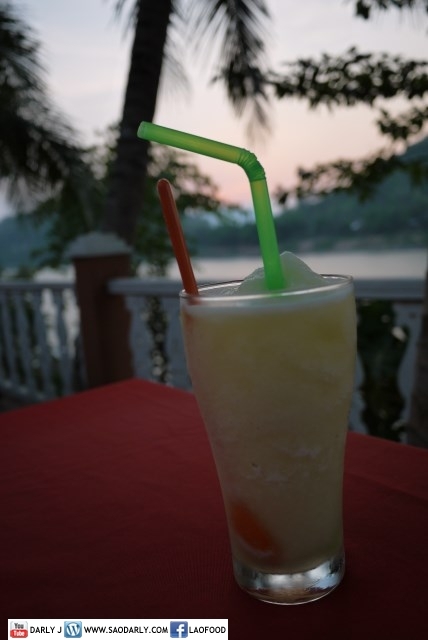 On my last night in Luang Prabang, Laos, I did something that I have never done before and that was to have dinner at sunset by myself. 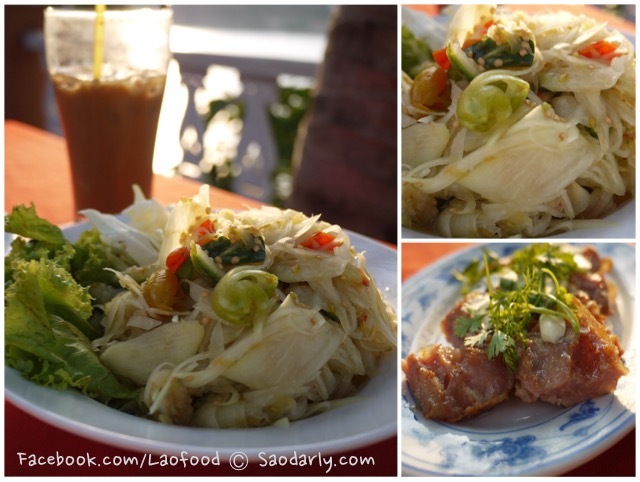 I treated myself to my favorite food, which is no other than Tam Maak Hoong (ຕໍາໝາກຫຸ່ງ) aka Lao Green Papaya Salad. 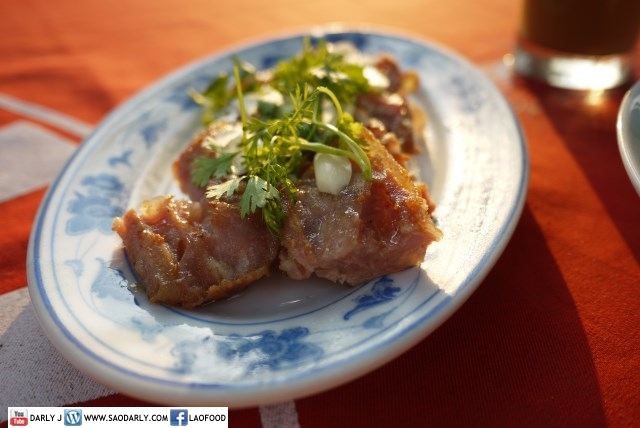 I was not sure what to eat it with and the cook at the restaurant suggested that I should have Fried Soured Pork Sausage (Som Moo) to go with my Tam Maak Hoong. 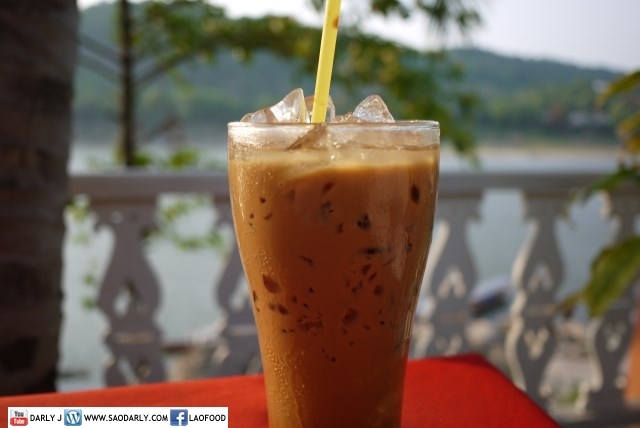 While waiting for my dinner, I enjoyed a glass of Lao Iced Coffee and watch boats and people passing by on the Mekong River. 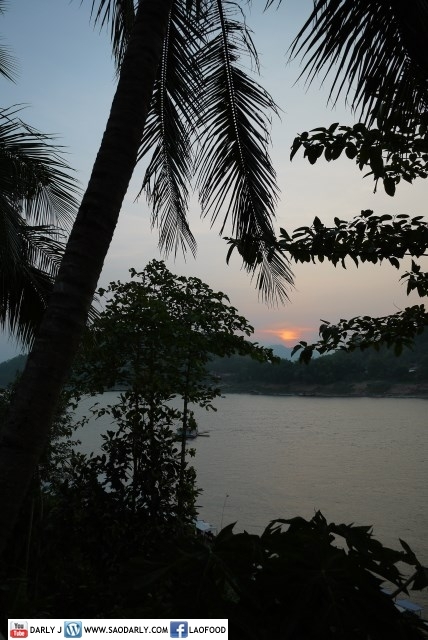 It was just nice to sit there and think about things that I didn’t do while spending two weeks in Luang Prabang. I didn’t go to the waterfalls or the caves. I just took it easy and walked around town everyday chatting with the local people and hanging out with my relatives. It was a vacation so that’s what I did, nothing but to not make plan and just went with the flow. Would you mind sharing the name of that restaurant? @Suzannr. 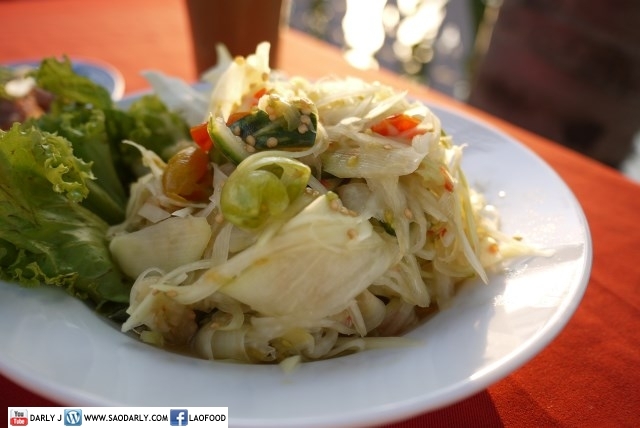 It’s Luang Prabang Restaurant (L.P.B. Restaurant) KhemKhong. 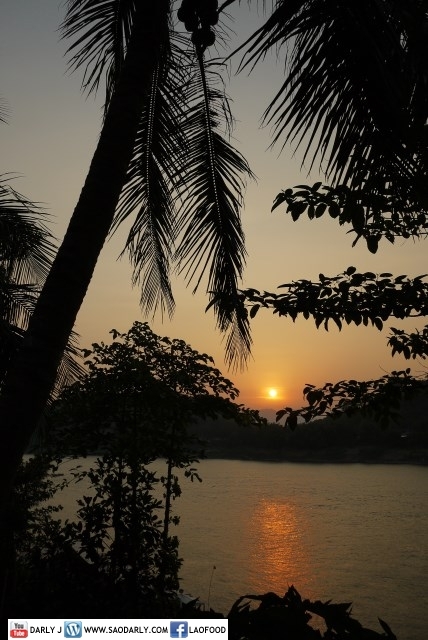 They have two signs so you can’t miss it if you walk along the road next to the Mekong River.